If you don’t know Todd Krieg, he’s the man from the “It Still Works” photo that went viral a little while back. The pregnancy announcement photo, which was featured in numerous publications such as People, USA Today, and Us Weekly, features Todd and his fiancé, Amanda Diesen, in front of a brick wall with the phrase “It Still Works!” written in chalk. Todd is giving a thumbs-up and sticking his tongue out as he exclaims excitement, and Amanda holds up the photo in one hand while hiding an embarrassed grin with the other. What set this apart from thousands of other photos like it was the fact that Todd was in a wheelchair because of a spinal cord injury he suffered in 2014—but this condition hasn’t dampened his spirits or natural exuberance in the least. We recently had a chance to sit down with Todd and ask him a few questions about his condition, his struggles, and how he overcame the challenges of his condition. 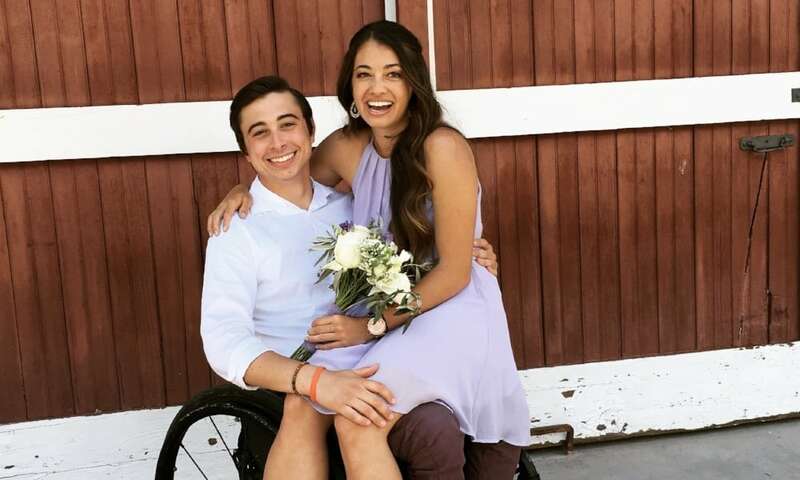 His lightheartedness and eagerness to help others came through loud and clear throughout the interview—and it shows how people with paralyzing spinal cord injuries can maintain their optimism and sense of joy despite such a condition. 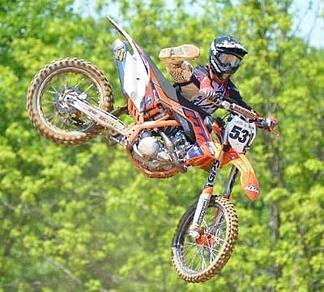 Todd was actively racing all throughout high school, but held off on riding professionally until he graduated at the request of his parents. In 2012, he turned pro and spent a year getting to know the ropes and making connections. In 2013, he was hired onto a race team for the first time. In 2014, he signed on with another team, but spent much of the year sidelined with a wrist injury. 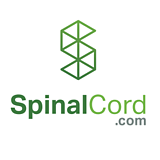 On October 23, Todd suffered the injury that ended his career: A T-4 complete that cut his spinal cord, but fortunately left the Myelin sheath intact. This injury occurred just a day before he was set to renew his racing contract. Todd’s original plan, where he would be done with professional racing by 26 and start working in the industry with manufacturers or in some other capacity, was finished. But, that didn’t mean that Todd was finished. In fact, he was just starting. It only took Todd about 2 months to complete his basic physical rehabilitation with the hospital—he was injured in October, but was back home with his family in time to celebrate Christmas with his loved ones. Then, in 2015, he went to Project Walk in California. Thankfully, Todd wasn’t alone, he had help from friends and family, as well as financial support from organizations like Road2Recovery. A friend who worked at a construction company in Ohio even helped by organizing a fundraiser to pay for Todd’s treatment and housing costs. The staff at Project Walk also had a profound impact on Todd—particularly Amanda Diesen, a trainer who was working with Project Walk at the time. 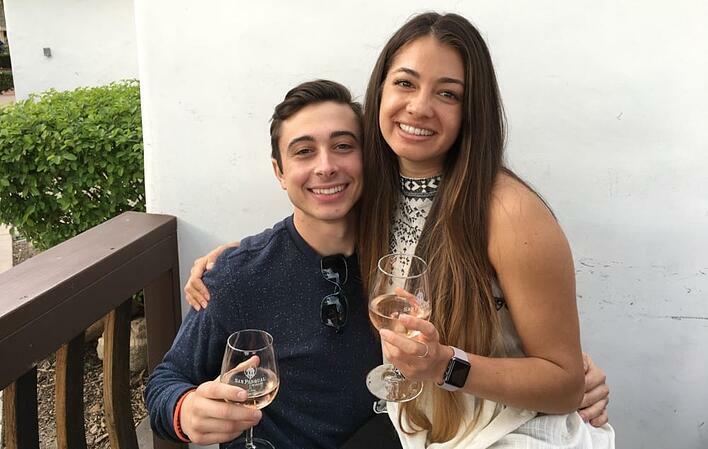 However, Todd didn’t tell Amanda how he felt about her until later when, at a party, he got sick and was being carried to a car by one of the other trainers there. The therapist asked Todd “who’s your favorite trainer?” to which Todd replied “Amanda, because she’s so beautiful!” Amanda was there to hear Todd’s confession, and that’s how she learned Todd liked her. The two hit it off, and when Todd eventually left Project Walk to return home to Ohio and start a new career, Amanda joined him. Although Todd left Project Walk, he does still keep up a physical training regimen with Amanda’s help. When Todd realized that his condition wasn’t improving, he decided to return home. He wanted to get his life back on track and focus on what he could do rather than what he couldn’t. 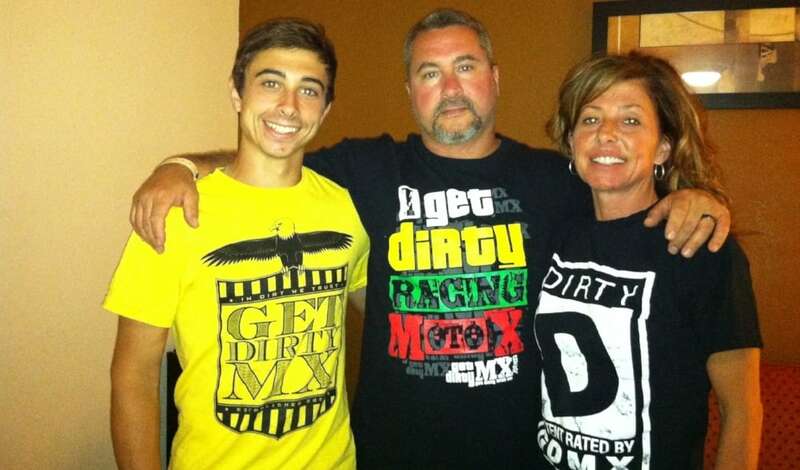 Once he got back to Ohio, Todd started reaching out to his connections, including his former racing team. However, just as he was preparing to take a job with the racing team, he got another job offer from his friend, the VP of the construction company, to work in the company’s accounting department. While Todd didn’t have the college degree or the years of experience normally required for the job, but he did have a personal connection with key people at the top. They liked and trusted Todd as a person, and were willing to give him all the training he would need to do the work. For anyone looking for work, Todd’s advice to make connections is incredibly valuable and practical. In some cases, having the right connections can be more valuable than experience and training! One of the things about the “It Still Works!” photo that makes it stand out is the sheer exuberance that Todd and Amanda have—it’s a testament to the positivity of the couple. I don’t view myself as being different. My big thing is that I view myself as a normal person, not a paraplegic. I’ve never really been one to go “woe me, look at me!” Yes, there are some things that I can’t do that I could before, but my injury doesn’t have to define who I am. Honestly, just being active and doing as much as I can helps me a lot. Working out and doing stretches helps a lot. Whenever I’m at work and sit around for too long, I start to get aches and sores, so I’ll take a break to do some stretches. I’m pretty against taking medicine. I tried a couple of different medications for nerve pain and depression, but they didn’t do much for me. I really just prefer to do something active. One thing that I would always tell myself is that it could always be worse—there’s always someone who wishes they could have what you have. I’m still here and have a lot of great things in my life. The people I’ve met and the things I’ve accomplished after this injury mean so much to me. Even before my injury, the thought of failure scared me. Now that I’m in the wheelchair, the fear of failure’s still there, but I just do my best to figure out a way to get things done or to solve whatever issue is getting me down. I take it day by day and do my best. Sometimes, I’ll listen to music to get myself pumped up. Mostly rock and alternative—stuff that gets you pumped and ready to go. 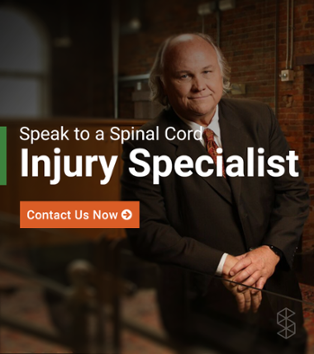 Todd’s ability to focus on the positives and make the most out of every day is an example of how others suffering from the aftermath of a severe injury can lead productive and fulfilling lives themselves. Want to ask Todd a question, or just learn more about him?